Go ahead and admit it: You’re jealous. 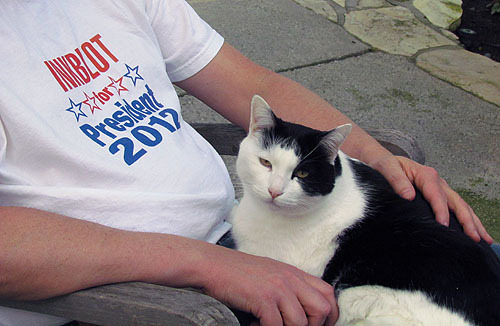 I have an Inkblot for President T-shirt and you don’t. It was a Christmas gift from my sister Inkblot’s super-PAC, and it was produced with absolutely no coordination with his campaign. But you can tell he likes it thanks to the extremely presidential look on his face today. He’s already measuring the drapes in the Oval Office.